Presidents Putin and Hollande share the same goal of settling the conflict in Syria. But at a meeting in Moscow, talk of operating in 'parallel' shows there's still a clear divide in how Russia and France want to resolve the crisis. Meeting Russia’s president in Moscow, President Francois Hollande reiterated France’s position that Paris wanted to see a more open “political dialogue” on Syria that would "speak to all parties" in the two-year crisis. The two states want to prevent the breakup of Syria first of all; however, differences about how this should be achieved remain a stumbling block for Paris and Moscow. While France favors Syria without President Assad, Russia insists that only the Syrians can decide their destiny. "Despite the existing differences in the Russia and French positions [on Syria], we are for keeping Syria an integral, democratic state," Putin told a joint news conference after talks with French President Francois Hollande. Putin said that his French counterpart made some new proposals during the meeting, which Russia’s president thinks “could be discussed” with all partners. "It seemed to me that this issue can't be resolved immediately without a bottle of vodka, let alone a bottle of good wine. 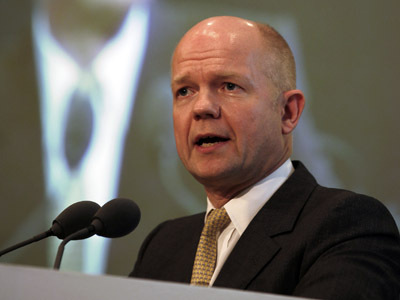 We will have to sit and think," Putin joked, referring to a Russian saying that highlights the complexity of a problem. "It's better to do it over a bottle of port," Hollande said, taking up the alcohol theme. The meeting came a day after Russia’s Foreign Minister and US secretary of State John Kerry also agreed to do “everything that depends on Russia and the US” to create the conditions to begin a dialogue between the Syrian government and the opposition as soon as possible. The two Presidents also showed unity while discussing France’s operation in Mali. President Vladimir Putin said Russia backed the French operation “to restore constitutional and democratic order in the country." 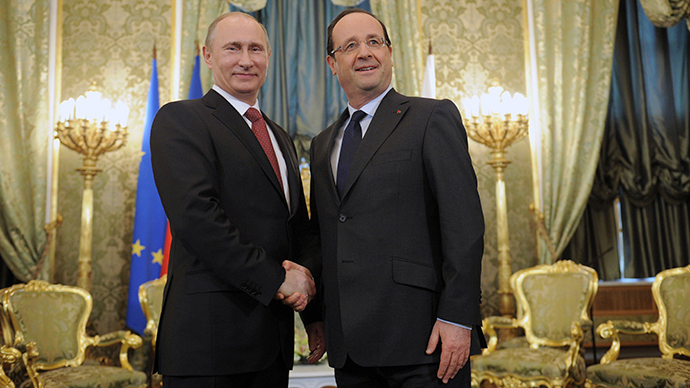 In return President Hollande thanked Putin for Moscow's "support of the military operation”. 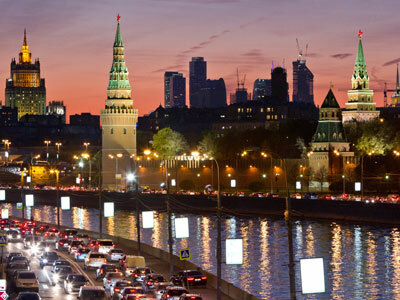 Trade, energy, investment and technological cooperation were other key topics on the agenda during Thursday’s talks in Moscow. It was agreed that six satellites will be put to orbit using the Russian Soyuz rocket from the Kourou Cosmodrome in French Guiana in the second half of 2013. "Our joint program Soyuz in the Guiana Space Center draws a lot of interest from consumers of space services, satellite operators," Putin said.